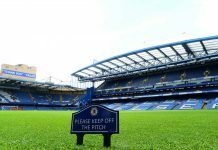 Home CFCnet North Stand It’s looking too easy – so focus on Europe? It’s looking too easy – so focus on Europe? So as we go into the international football break, Chelsea are five points clear and unbeaten. And save for a lucky late equaliser from Man City at the Etihad, we would now have maximum points and be eight points clear. 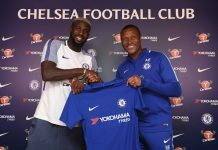 This opening to the season has surely exceeded the expectations of all but the most optimistic fans at Stamford Bridge – so what happens next? Well it’s fair to say that we’re looking fairly invincible against domestic opposition. The latest comfortable win against the Gunners with their angry manager at the helm just served to show the rest of the Premier League who’s really in charge. Remember that Arsenal were hitherto unbeaten in the Premier League. The only realistic title contenders are Manchester City and they’re looking patchy at best. It may even be that this side designed and built, in the main, by José Mourinho can go all the way through the season unbeaten. This is unlikely, but possible – but it’s not really what it’s all about nice though it may be. What seems more likely is that Mourinho is looking to sew up the Premier League early doors by building up a substantial lead so that all efforts can be focussed on the Champions League – with the Premier League requiring a lot less attention. And if you think this whole scenario is likely – that Mourinho is going all out for Champions League success, there may be a smart way of making that good value bet. As we know, all the major bookmakers offer free intro bets these days – but the online gaming companies and casinos offer bigger bonuses on the whole. And some, like 32Red and Winner also offer sports books. So if you go to Winner, for example, you’ll see that you get a free £25 for just £5 down – so it’s a no-brainer. You may as well have a game or two with the cash and you might get lucky and, if you do, you can transfer the proceeds to the sports book and bang it on the Blues’ Champions League hopes. And if you lose – it’s a fiver, so who really cares and you might have a bit of fun anyway. The two domestic cups, meanwhile, will probably serve as run-outs for squad rotation purposes, youngsters and second-stringers, though we have to say that hasn’t really proved the case so far in the Capital One League Cup. Strategically speaking, then, an all-out Champions League push would make a lot of sense. 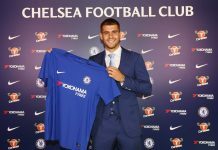 It’s no secret that owner Roman Abramovich wants to see Champions League success above all else – and he wants to see it done in the right way, with style, flair and confidence – as opposed to the way it was actually won under Roberto Di Matteo in 2012 – no matter how much we may have all enjoyed the experience. If we’re right in this assumption, then the current 6-1 for the Champions League being offered by the major bookies including the afore-mentioned 32Red and Winner, along with skybet and a few others, looks very tempting. Remember how close we came last year to being in the final – and that was with a team not designed and built by the special one. What’s more – the main architect of our downfall on the pitch is now at Stamford Bridge and banging them in like it’s easy, ably assisted by Cesc Fabregas of course. 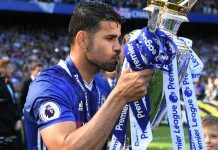 So if Diego Costa can stay fit, Chelsea have to be a great value bet at 6-1, despite the slightly iffy start against Schalke. It also seems likely that we’ll progress as group winners in what is, after all, a fairly easy looking group on paper. If all goes according to plan, and if we’re right in our main assumptions about the Abramovich / Mourinho main focus, Chelsea will be comfortably clear in the Premier League by Christmas and will have qualified top of their group ready for the knock-out phase of the Champions League. 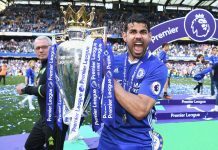 All we need now is to make sure the key men, and Diego Costa in particular, stay fit. If all that comes to pass – then Chelsea look great value to be lifting the world’s biggest club competition trophy in Berlin on D-Day (June 6th) next year.